Develop Policies and Procedures Describing the Procedure, Processes, and Content of Internal Reviews Before, During, and Following a Disbursement Delay. Develop Clear Procedures and Processes to Facilitate the Notifications Required When a Disbursement Delay is Utilized. Carefully Monitor the Timing of Delayed Disbursements to Ensure that Funds Are Not Withheld Longer than is Permissible. 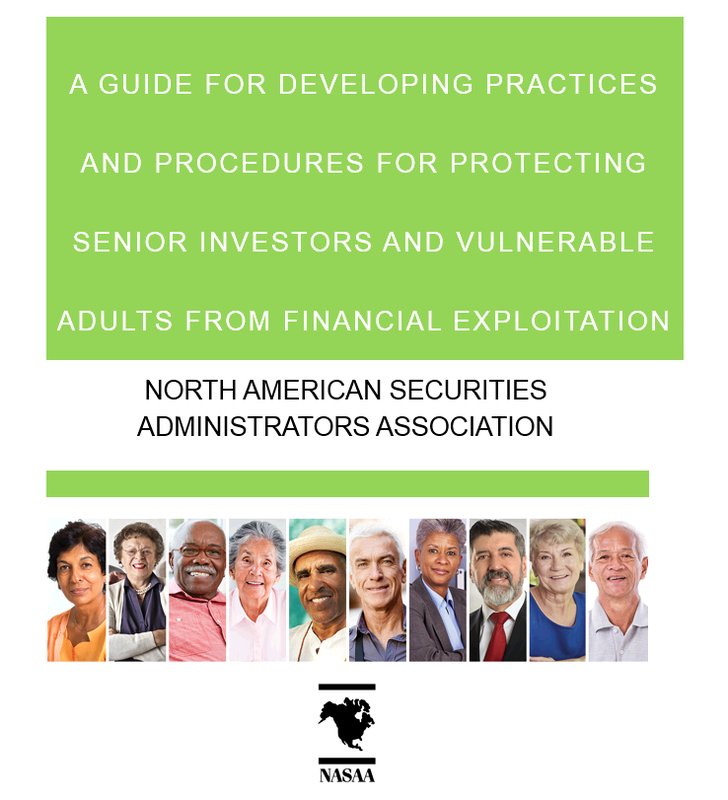 Delaying or placing a temporary hold on a disbursement from a client or customer account in an effort to prevent losses from financial exploitation is an important and potentially very effective tool provided to firms in the NASAA Model Act and other existing state laws, and potentially under advance financial directives. Given the potential unintended disruptive consequences of delaying disbursements, however, firms should develop clear and robust policies and procedures designed to effectively utilize these delays and to ensure that such delays comply with the NASAA Model Act and other applicable law, including federal law, any advance directive contractual provisions, and are used only in appropriate circumstances. Under the NASAA Model Act and existing state laws, generally, firms are required to complete or to continue a review or investigation after delaying a disbursement. Firms’ policies and procedures should describe the procedure, processes, and content of their required internal review before, during, and following the delay of a disbursement. Firms also should develop robust training programs for their employees regarding these reviews and investigations. Such training is an important step in ensuring firms can successfully utilize disbursement delays when appropriate. Similar standards should be applied when the firm relies on a contractual advance directive that provides for a similar delay or hold. Firms should also have clear procedures and processes to facilitate the notifications required by the NASAA Model Act—notification to account holders and the relevant regulatory agencies—or by other applicable law or contractual advance directive. Because these notifications are often required in order to delay a disbursement, firms should pay particular attention to developing processes for ensuring notification occurs in a timely fashion. For example, firms should clearly designate who is responsible for the notification, whether it be the account’s primary representative or someone from the firm’s legal or compliance department. Firms also should maintain systems that facilitate the identification of those authorized to transact business on the account, as each of these people is also required to receive notification of a delayed disbursement under the NASAA Model Act. While no form of notification is specified in existing state laws or the NASAA Model Act, firms’ policies and procedures should clearly define the form and contents of these notifications to ensure accurate and consistent notification. Firms also must ensure that such notifications are not sent to the suspected perpetrators of the financial exploitation. This is of particular importance for firms that may develop some type of automated notification system. Firms’ notification procedures must also provide for clear guidance on which regulators to notify and the time frames for such notification. It is important to note that the state securities regulator and the local APS agency must be notified of a delayed disbursement under the NASAA Model Act, regardless of whether the agencies have already received notice of suspected financial exploitation. Further, the notification to the agencies should contain at least the same information as the notice to the account holders. Following a disbursement delay, firms should maintain open communication with state securities regulators and local APS agencies to report their internal findings, and they should fully cooperate with any concurrent agency investigation or action. This will ensure that the agencies have the information they need to act on any potential exploitation. Firms also should develop communication tools to inform their customers and clients of the possibility of a delayed disbursement in situations of potential financial exploitation. As with third-party designations, the possibility of a delay in the disbursement of funds due to reasonably suspected fraud should be communicated clearly and conspicuously to customers and clients and not only appear in the fine print of a customer’s account agreement or advisory contract. Firms should carefully monitor the timing of delayed disbursements to ensure that funds are not withheld longer than is permissible. Firms should also closely monitor the timing of the delay as it relates to their internal investigation, as, under the NASAA Model Act, any delay beyond 15 business days must be authorized by the state securities regulator or APS agency, and the firm may need to seek court authorization if a delay longer than 25 business days is necessary. Further, ensuring that a senior investor’s funds are not unnecessarily delayed is critically important, as a delayed disbursement can have a significant impact on a senior investor. For example, if funds are delayed, senior investors could fall behind on paying their bills or checks they have written may bounce, which could result in additional fees. Firms should be mindful of these concerns when determining whether or not to delay disbursements and for how long. Firms’ policies and procedures should be designed to minimize the time required to complete any required internal review or investigation and make the required notifications and reports. If these actions are completed in a timely manner and the proper authorities are involved, the consequences of a delay can be mitigated.